Bidbetter are experts in helping businesses increase their success rate in winning public sector contracts through a blend of training, bid project management, bid process reviews and consultancy. With in-depth knowledge and experience of public sector procurement process and strategy, they work with their clients to identify growth opportunities, provide assistance on improving their bid submissions and win rates, analyse their internal processes to ensure effectiveness and provide bespoke, specialised training. As Bidbetter is a small, SME company, the owner, Philip Norman, is heavily committed to running the business and delivering services to customers, leaving insufficient time or resource to invest in quality lead generation. To date leads have come through personal networks, so there was a need to find and develop new business opportunities wider afield, both in different sectors and also regions. Therefore their core requirement was a telemarketing campaign to generate face-to-face appointments for the business owner with decision-makers and qualified prospects. The ultimate objective was to increase sales while also starting the all-important process of building alliances with targeted organisations. On a practical level, Bidbetter also wanted hands-on support with trawling through bought-in lists identifying and prioritising the best organisations and sectors to target. Firstly we ran a discovery session, to ensure we got a thorough understanding of the business, its specialist market, its opportunities and its challenges. From that we identified that the key to success for Bidbetter would be detailed interrogation of the bought-in lists to ensure we were targeting the right people with pin-point accuracy. We agreed with Philip the core criteria that would generate quality leads, what previous clients had in common and what concerns they may have that Bidbetter’s services would address. Using these parameters we went through the lists in detail and reduced it significantly, saving a lot of unnecessary time contacting businesses who were less likely to convert. We also helped set up a CRM system straight away which became the cornerstone of the telemarketing activity. It is imperative to have a great system to manage the different leads and client information and we have a lot of experience in choosing the right one for the business needs. As part of this it was integrated with their current systems to automate processes, maximising efficiencies. Once both these elements had been implemented, we then began a telemarketing campaign, contacting the prospective clients on Bidbetters behalf, introducing them to their services and arranging appointments for them. Commencing in 2013, we have been retained ongoing and continue to deliver this service monthly. Combining highly targeted telemarketing with well tuned sales messages resulted in a strong performance and results which exceeded client expectation. Ongoing we are generating several new appointments each month with an average conversion rate of 35% and overall the telemarketing campaign is delivering a ROI of 200%. 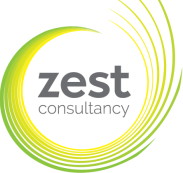 “Zest really understand our business – and me - and can talk with ease and knowledge about the specialist service we’re offering – it’s a relationship based on mutual trust. Our wish is for quality rather than quantity of leads, and this is exactly what Zest are delivering. Their research is first class. They competently and efficiently sift through raw bought-in data and help us identify the decision-makers. The appointments are therefore properly qualified which avoids wasting precious time on wild goose chases. They combine persistence with targeting which means we know we’re talking to the right people.